Welcome to our 50th episode! We love swapcasting with other podcasts in the community! 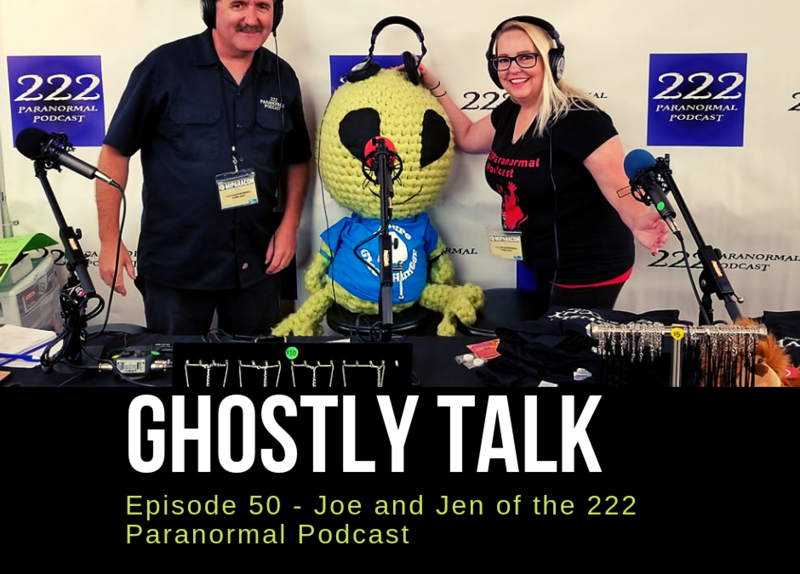 Siblings Joe and Jen have been interested in the paranormal since they were kids and their show 222 Paranormal is available in all the usual places – itunes, Google, iheart. During the show, we asked Joe and Jen if they’ve ever heard something strange while recording their podcast and they shared stories and clips of some audio moments that puzzled them. While recording a show with a ghost box, a voice jumped out that seems to say “Hey Joe.” And on another show, while talking about the Greenbriar ghost, they got a strange voice. If you want to listen to those isolated tracks, they are below. Download the show, stream below or use your favorite podcast app to listen.